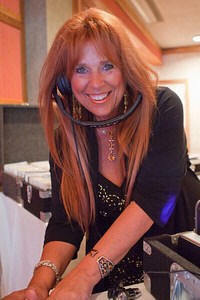 Santana Entertainment - Professional Disc Jockey in Maryland with 25 years Experience! wide variety of live entertainment such as bands, string quartets, trios, soloists, pianists, harpists and many other acts. 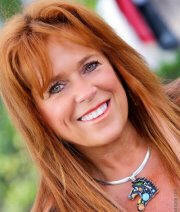 All of our professionals have 15 years plus experience! Santana specializes in music programming, therefore, she has traveled nationwide and internationally performing World Music Events and corporate events from the most intimate parties to the White House! We specialize in multi-cultural events and music as well. Lighting packages are available upon request and customized to each event. Event planning and room setup is also key to a successful event, and we will guide you through this process. Our success is due to experience, dedication, reputation, and our genuine passion for music! These qualities are reflected in each and every event! I began performing live music at the early age of 10 in San Diego, California. I was a singer/songwriter and guitar player. I was in many bands from lead singer of rock bands, top 40 bands and acoustic groups. years, I managed to play every genre of club. After playing out live 7 nights a week, I decided to venture into the DJ industry! I began mixing music with vinyl, and to this day, I still have all my vinyl and love the feel! Of course, now my library consists of CD’s and several digital systems. I trained with a strict military entertainer and performed at Officer’s Clubs and military bases up and down the east coast. Shortly thereafter, I did my first wedding and I was hooked! I love doing weddings, because it is always a celebration with love in the air! While doing weddings, I also continued to work in every genre of nightclub from Christopher’s which was voted the one of the top 10 clubs in the nation at the time to Hammerjacks, Hard Rock Café, Nashville’s, Padonia Station, Impulse, Hurricanes and the list goes on! I managed some of the largest clubs on the east coast and was responsible for hiring the DJ’s, national and local acts, marketing and advertising commercials for the clubs. I also was performing as a DJ for the clubs along with the other jocks I hired. As a live musician, I found I had a different “feel” for music then the average DJ, and I quickly made a name for myself in the industry! I began Santana Entertainment about 15 years ago, and have rarely advertised throughout the years. Almost all of our business now comes from referrals, which is the best way to build a business! I have worked with many celebrities and sports icons performing their own personal special events and continue to do so to date! I always listen to what the clients wants and fulfill my promise to deliver quality services and a professional approach. I educate them on how to have a great party! Let’s face it….how many weddings does a couple typically plan in their lifetime? They truly need the guidance of a professional to help create a most unique, fun-filled and successful event! If it’s a wedding, it’s all about the Bride and Groom! I never try to be the center of attention at a wedding! I don’t believe in cookie-cutter weddings, as each couple is unique, and I strive to bring the client’s personality and style into their event! I find out the dynamics of their crowd so I can guide them on how to choose music that will create the right ambiance and an active dance floor! I am extremely passionate about music programming and truly believe that every song matters. The music needs to be at a cocktail and dinner volume during this designated time, but it doesn’t need to be so unnoticeable that it becomes simply “white noise”. The music’s job is to enhance the event and begin to get the guests ready to dance! If the first 2 hours of a wedding reception is the “invisible background music”, then you haven’t moved your audience, and the audience is their guests. I always do what the Bride and Groom want, so if they should request light background music, then I will do whatever they ask, as my philosophy has always been, “It’s your day, and it’s your way”! I also work as a team with your other vendors, for example, never would an announcement be made without first letting the Bride and Groom know, all sets of parents, photographer, videographer, caterer and any guests who may have stepped outside the party. This ensures no one will miss any of your special moments! I can’t tell you how many times I have stepped outside the room to invite guests in personally to view a special dance, and they are so appreciative because they would have missed that moment! programming to help create a fun-filled and successful party! Again, I will educate the client on how to create the atmosphere they want to achieve through great music programming! It’s also important on how the room is set up, for example, there is a difference between a “warm set” room and a “cold set room” which absolutely can affect the activity on the dance floor! It is also a must that we have backup sound systems, and I’m always prepared with two full setups beyond the sound system set up for the event! I will also with backup CD’s which includes all your key songs and this is gifted to the Bride and Groom or the client of another type of event at the end of the party! This is always an appreciated gesture from my clients! Finally, I believe how we show up at our events is so important! If you’re passionate about what you do, it reflects in your work! I arrive at each and every event with a smile, good attitude and a true desire to create a fabulous event for you and your guests! At the present time, Santana Entertainment has 5 professional disc jockeys as well as live entertainment such as string quartets, soloists with a variety of instruments available, string trios, vocalists, classical guitarists, violinists, flute, jazz bands, pianists, Latin bands and top 40 variety bands. The individuals are the best in the industry. Most of them have over 15 years experience and none have less than 10 years. My associates are well-seasoned and are prepared to handle unforeseen circumstances in a professional manner due to the years of experience. You will not find the tacky DJ approach on the microphone, nor will you find a DJ that is unable to play the crowd, which is extremely important to the success of an event. At the end of an event, our clients know their event was successful and memorable for their guests! In 2009, I was performing a World Music Event in Colorado and ended up rescuing two horses starving in the mountains. A month after they were brought to MD, I was told they had to be put down due to starvation and I refused. I began designing custom jewelry to support the horses, Destiny & Cheyenne. I’m happy to say that jewelry sales are 100% supporting the horses at this time! I’m extremely passionate about horses! I’m currently studying Equine Guided Education which is a program for my rescue horses to work with battered women, victims of violence and abused children while creating music to help facilitate the program. The horses are very intuitive, and they always know when one has had abuse in their background. The horses are also going to be part of the facilitation for leadership and transformational programs. Thus far, they have rescued a female soldier from taking her life due to severe post-traumatic stress syndrome, and to this day, she is still engaged with the horses and living a more peaceful life due to their influence. I am in the process of co-creating a program for women in which I will be facilitating music to touch the heart and soul while they enjoy the process of transformational growth, healing and peace in their lives. I’m also a huge nature girl, so in my spare time, you will find me either by the water, hiking in the mountains, in the pasture with the horses or exploring any kind of natural site I can enjoy the natural tranquility and beauty of nature! 8 Years in a row!!! Copyright © Santana Entertainment. All Rights Reserved.